Call us at (479) 968- EYES (3937) today. At Scott & Morden Eye Clinic we’ll give you the attention and personal service you’ll come to expect and enjoy. We are a complete eye care center here to meet your eye care needs. Our doctors have been committed to serving Russellville since 1985, and have built a reputation for quality and professionalism. Let us put our experience to work for you. Scott & Morden Eye Clinic is a full service eye and vision care provider, accepting both eye emergencies as well as scheduled appointments. 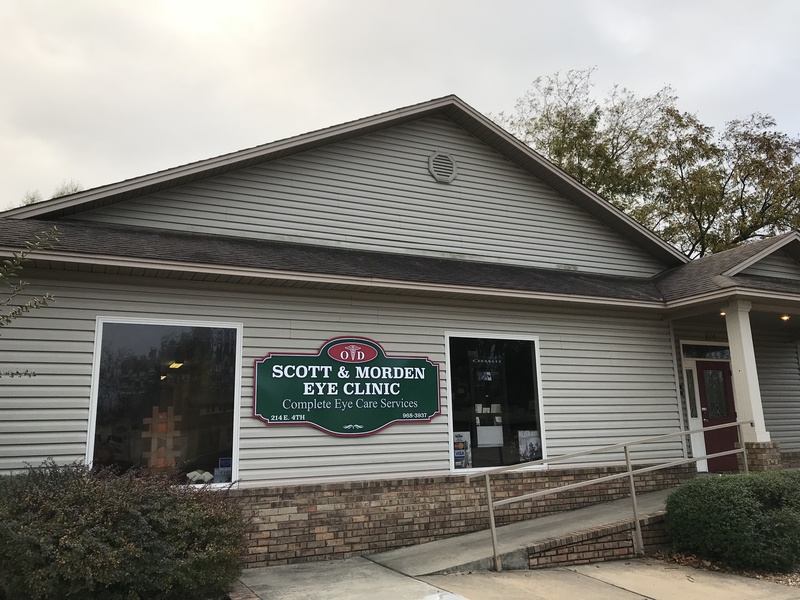 Patients throughout the Russellville area come to Scott & Morden Eye Clinic because they know they will receive the personal attention and professional care that is our foundation.Our team are dedicated to keeping our patients comfortable and well-informed at all times. At Scott & Morden Eye Clinic, we will explain every exam and procedure and answer all of our patients' questions. Additionally, at Scott & Morden Eye Clinic, we offer vision financing options and will work with vision insurance providers to ensure good eye health and vision care for all of our patients. Our one-on-one approach to optometry makes our doctors and the Scott & Morden Eye Clinic staff the eye and vision care providers of choice in the Russellville area. Our Russellville optometrist offers the following services: complete eye exams, contact lenses, glasses, glaucoma testing, and pre- and post-operative care. For a complete list of services, visit our services page or call our Russellville office at (479) 968- EYES (3937). At Scott & Morden Eye Clinic, we are dedicated to providing high-quality optometry services in a comfortable environment.Call us at (479) 968- EYES (3937) or schedule an appointment today online. "Doctors and staff are courteous and very professional. I wholeheartedly recommend Scott & Morden Eye Clinic!" "Scott & Morden Eye Clinic is the best at what they do and make you feel right at home."